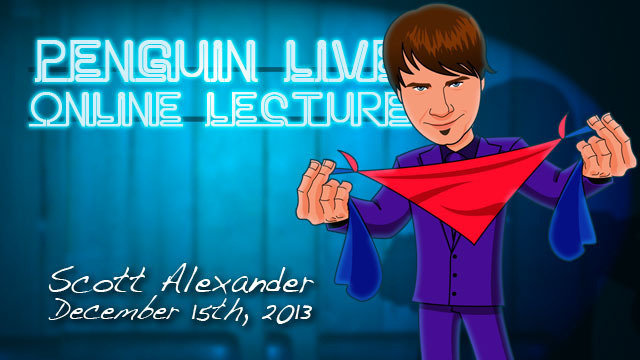 Today, when you order "Scott Alexander LIVE", you'll instantly be emailed a Penguin Magic gift certificate. You can spend it on anything you like at Penguin, just like cash. Just complete your order as normal, and within seconds you'll get an email with your gift certificate. Scott Alexander LIVE (Penguin LIVE) One of the busiest professionals in the business came to Penguin for a jaw-dropping 4-hour live event. SUPPORT LIVE MAGIC. DOWNLOAD THE FULL LECTURE TODAY. Plus, he'll offer tips on getting your magic up on stage, putting together an act, and making close-up tricks play on stage by changing the framing. 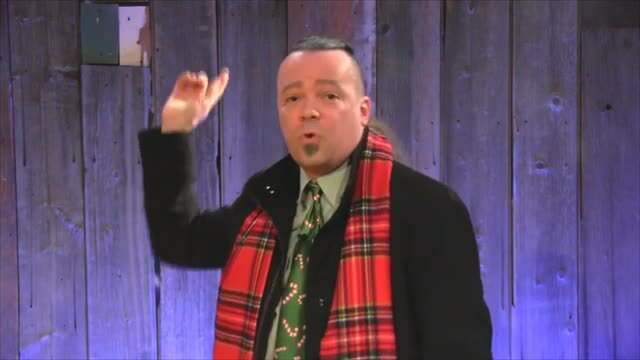 Now, Scott Alexander is coming here to Penguin Live for a festive celebration of this magical time of year. If you've never been to a magic lecture, theres never been a better time. Sunday December 15th at 7:00pm, were live-streaming Scott Alexander LIVE in a spectacular 2-hour interactive online lecture. Watch, ask questions and learn things you won't find in any book or DVD. 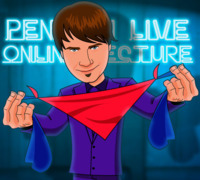 On Sunday December 15th, anytime before 7:00pm Eastern, click the MyPenguinMagic area at the top of the Penguin site. You'll see the livestream appear 1 hour before showtime. At 7pm sharp, Scott will hit the stage and begin his JAM-PACKED professional lecture. Peter Turner's lecture was the best for mindreading, well, this one was by FAR the best for magic. EVERYTHING Scott performs is used over years of experience. Every trick he teaches, is the best version/method of that particular effect. I CANNOT reccomend this lecture enough, seriously. And if you like "lines" aka jokes, he has sooooooooo many great ones. This was a very entertaining lecture. I had a blast. I have already watched it two times. Scott is hilarious and his methods are sooooooo awesome. I am so freaking glad Penguin got another ah-mazing stage magician to do a lecture...Please keep the stage magician's coming. Please!!! 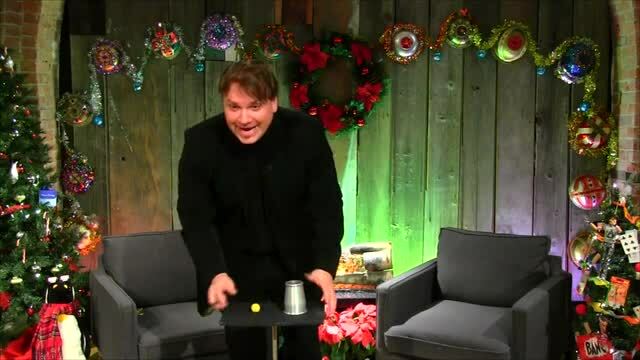 Scott sings, shows off his very inventive magical mind...& He even gets crazy time Christmas with the set. 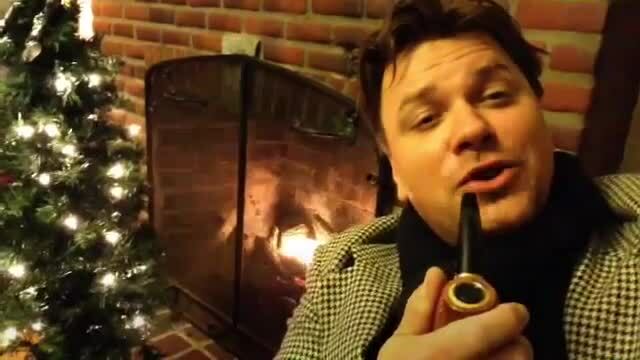 Dan Harlan brings in merriment as the ever brilliant host. Scott even has some audience members wearing some Christmas time cheer. This lecture is fun. It is full of creativity and insight on how to make your show into a real production. Hanky Panky....was so freak'n awesome! Wow! So visual. Quick. I could totally see doing this in a heartbeat in a show. the give aways sometimes took a bit of time...but how cool that he was giving his magic away. So really I feel bad saying this is a Con. There is way more to this lecture than I mentioned here...but I have to get some sleep. this is the lecture for you. It is a crazy time lecture that should not be missed. Scott performed and taught enough material for anyone to create an act for close-up AND stage. Effects direct from Scott's long term working career ( Bill Malone's Magic Bar, Las vegas and cruise ships ). One of the best and funniest lectures ever ( right up there with David Williamson ). First the downside - little that there is...This was shot at Christmas time, which is fine, but some of the nonsense wears a bit thin after awhile especially after Christmas. Secondly, it took awhile to get to the actual magic while Dan and Scott had fun. SOOOO...don't stream this, download it. You can get to the parts you want to see to review techniques, etc. and skip the silliness as you see fit. Some (righteous) "holding back" occurs on effects that are marketed separately and pricey to boot. However, those are truly professional items and should not be fully explained -It was great just to see them. The upside - really great magic and entertainment bits throughout from folks who clearly know and love their jobs. Laughed out loud more than once and appreciated the simplicity and subtlety of the effects and great Scott's great thinking. He tips enough of several effects that you can construct your own. I happened to buy the effect, "Slashed," and now I can see him perform it - it doesn't come with a video. 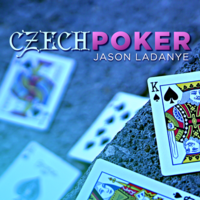 This is NOT in-your-face "street" magic, it is performance magic from an experienced and creative pro, and well worth studying and reviewing. Watch, take notes and learn. I agree with much of what has been said elsewhere about this lecture. It's filled with great effects and methods... but there's an even bigger lesson about creativity and showmanship that threads itself through every routine. I'm definitely a little late to the game on this but still wanted to share my thoughts. I've been performing many of Scott's routines for the last couple of years including Slashed, Shattered, Velocity, Hanky Panky, Needles and Shoe Business. (I feel like his material and Bill Abbott's make up 80% of my act anymore). I also saw Scott and Puck lecture together at Denny's in the last year or two and thoroughly enjoyed their lecture/show. Being snowed in a couple of days earlier this week, I decided to download the lecture...and I'm so glad I did. The lecture was even more entertaining and I had anticipated. 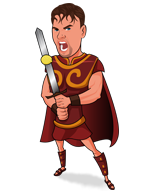 While he teaches quite a bit of magic, what you learn about showmanship and production values just watching him perform FAR out weighs any tricks he teaches. He also shared quite a few updates to routines I'd previously purchased of his; some of which I plan to incorporate into my show. He and Dan Harlan put on the best Penguin lecture I've seen so far and it's going to be tough to top. Now the bad news...the lecture ended up costing me $230...because it talked me into buying the Final Cut. Excellent Lecture. There is definitely something for everyone in this lecture and it is very entertaining. Some great methods for producing liquid is a running gag which is fun as well as informative.Well worth the investment. This has EVERYTHING in it. Close-up, stage, comedy, tips and more. I really enjoyed it a ton and even won something along the way watching it live. I really don't even know where to start reviewing because there was so much and it was so great. I mean I could say how awesome the card stab is (that doesn't ruin the deck), how I'm going to do the spitball catch, how I'm going to put the needles back into my adult show or follow Scott's work more closely. If you want to take something from your close-up work into your professional stage work... You will NEED to watch this lecture and learn how to play big. Awesome job Scott, loved the lecture! Thanks guys for a great download. Thoroughly enjoyed it. I will definitely continue to shop with you all.